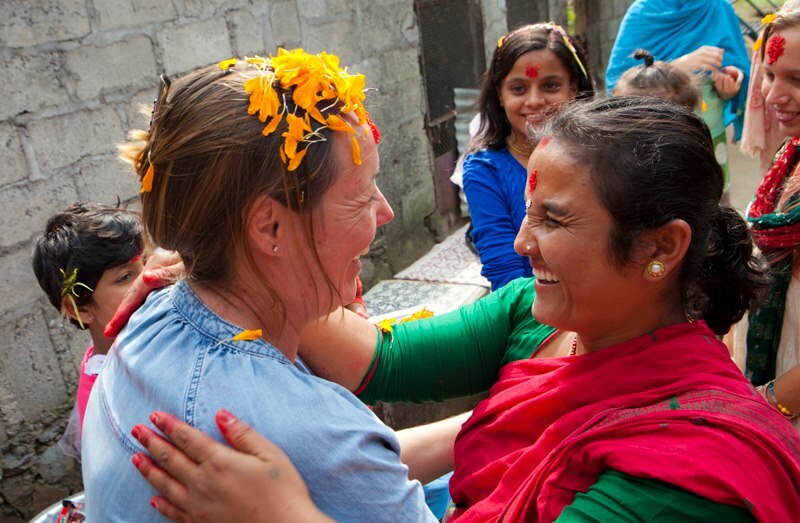 My personal journey with Giving Back and my connection with Nepal – and receiving far more than I ever imagined! Giving Back has been a dynamic and important part of my own personal journey of evolution. My parents actively contributed in their local communities in rural Australia, showing me how much giving in service benefits all of us. This inspired me, as has my own conscious exploration of Karma Yoga. Karma Yoga means following one’s heart in service of others and the world, through selfless, everyday action toward the betterment of all beings. Nepal has been a powerful teacher for me in my journey of Karma Yoga. It has helped me to step out of my personal stories and issues, into a higher level of service. This has enabled me to experience people, the universe, and myself in a context of complete interdependence, and to truly realise the truth of every action having a consequence. I have gained tremendous depth, compassion, and understanding of humanity by consciously exploring this perspective of living my own humanity. 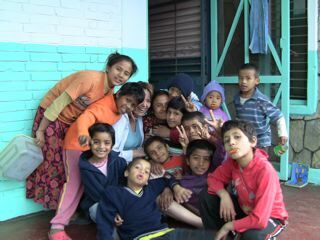 Since 2000, I have been actively participating with Nepalese friends in various projects that have grown organically out of our mutual interest in supporting children and women in need. We have evolved farm-style children's homes, education advancement projects, an expanding outreach microcredit program to support rural women in their own businesses – and more. In April 2015, I was present for the devastating 7.8 Earthquake. 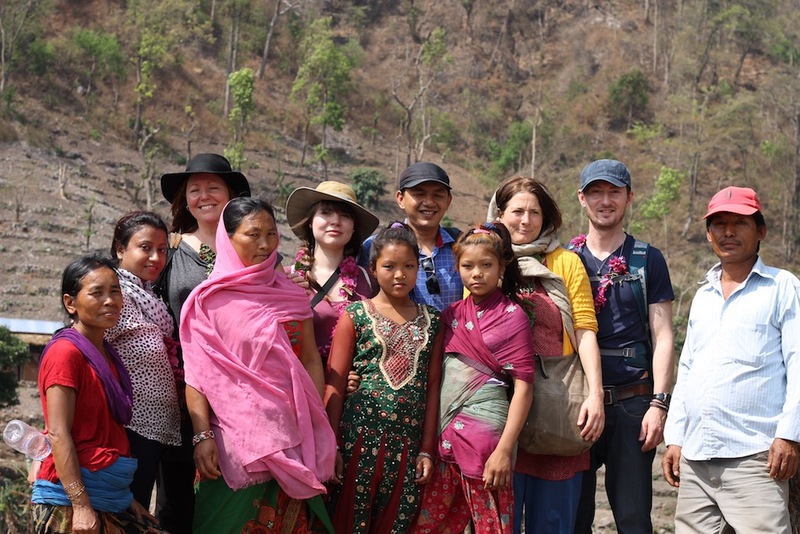 As a consequence, my Nepalese friends and I were able to deliver direct aid and support to those most acutely affected. Since that time, my efforts have actively supported rebuilding safely with eco-friendly initiatives, as well as continuing our previous initiatives. Why Giving Back Projects in Nepal? In 1995 I had a series of dreams of being in the Himalayan Mountains, sitting by a lake, receiving instruction about my life from an old wise man. Some months later I made the trip to Nepal, impatiently hiked up the mountains and sat beside a lake. Instead of meeting a wise man I met my own inner voice with a loud-and-clear message: get out of the ‘ideas’ of a spiritual journey! Find myself and embrace my own humanity and others’. As I walked back down the mountains and assessed my life and the world around me I felt quite humbled. I realised how selfish I had been. It was a life-changing moment. I left that trip to Nepal with two things: my realisation still working deeply within me, and the memory of the gentle Nepali people living in poor conditions, yet so happy of spirit. It was some years before I returned to Nepal. By 2000, I had become more familiar with my own and others' humanity and had truly realised the gift of giving to others. I travelled this second time to Nepal with an inner urge to be involved in social service. I wanted to help those who had little in the way of material support to express their natural capacity for growth and development – and to do all this from an open space, knowing that I do not have all the answers! This began a different aspect of self-discovery that continues to this day. I am now a frequent visitor to Nepal and consider it my second home. Through the natural growth of various projects, initiated in conjunction with Nepali friends, I have gained experience and knowledge. It has confirmed my inner knowing that a small amount of encouragement and support can create and stimulate growth and development in healthy ways. Watching and listening to the stories of women and children in their expression of empowerment is heartwarming and inspiring. Witnessing men and women in their communities who have the courage to follow their ideas and establish new directions is uplifting. To know these people as my friends is a joy. I receive from them in so many ways! 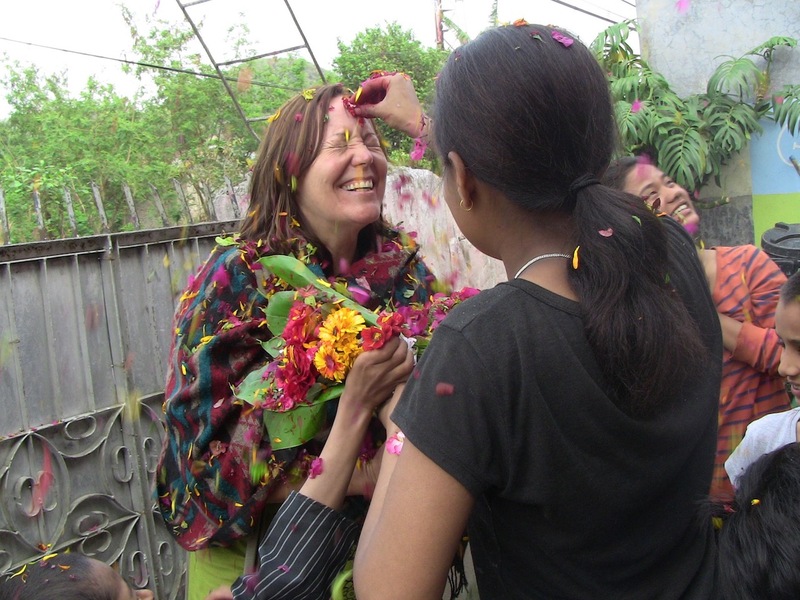 I have experienced a profound depth of heart opening through my time in Nepal. It has brought me to see the topic of ‘aid’ from a holistic perspective. Although people in Nepal (and many other places) may lack education, material wealth and resources, these are human beings with intelligence and an innate desire for growth. My experience has deepened my belief that we truly can work, live, play, grow and evolve together with greater sensitivity and caring for one another. From a wish to include others in this gift of giving, I established a charity in the EU called Hands with Hands e.V. (www.handswithhands.com) It has opened a new chapter in my life, bridging cultures with the theme of giving and receiving. I am often in communication with my friends and new families in Nepal, as well as sharing with interested people around the world. I have become more deeply aware of our global human community. It has also brought me into contact with some exceptional people who are inspirations with their selfless contribution to the well-being of others. It has taken me to new depths of compassion and action in my own life, and to the deep realisation that a developed spiritual life includes the welfare of all human beings. I hope that the words I have shared here can inspire others to follow their own heart and intuition for the benefit of us all! Together, hands-with-hands, we build better futures.